Could Apple’s next iPhones be made in the USA? Restoring manufacturing jobs to the United States’ struggling Rust Belt communities was one of President-elect Donald Trump’s biggest campaign promises — and Apple is stepping up to the plate. The consumer electronics giant is exploring the possibility of moving smartphone production to the United States. Electronics maker Foxconn, one of Apple’s largest suppliers, confirmed on Sunday that it was mulling a $7 billion investment to create a flat-panel manufacturing facility in the United States, Reuters reported. 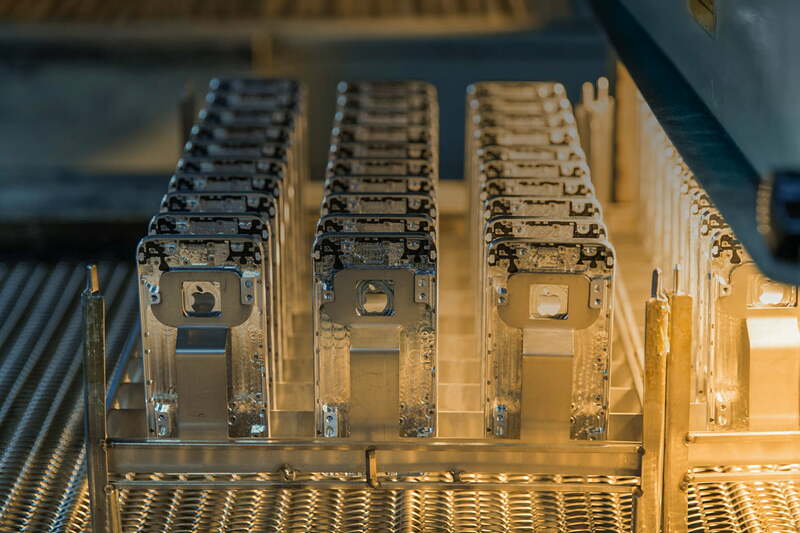 This would bring one of the major components in smartphones to American shores and would be an important step toward building iPhones in the U.S. Founder and chairman Terry Gou said the move may create as many as 50,000 jobs and would involve Japanese subsidiary Sharp; talks were reportedly underway in Pennsylvania and in other states. Such a move may become more feasible given Foxconn’s plans. The company first confirmed that it was exploring investing in the U.S. in early December: “We are in preliminary discussions regarding a potential investment that would represent an expansion of our current U.S. operations,” Foxconn said to CNNMoney. Softbank CEO Masayoshi Son met with Trump shortly after to announce a planned $50 billion investment in U.S. startups. The CEO held a paper with Softbank’s and Foxconn’s name, along with the following text: “commit to: Invest $50bn + $7bn in US, generate 50k + 50k new jobs in US in next 4 years.” That led to speculation that Foxconn would have a role in bringing jobs to the U.S.
“While the scope of the potential investment has not been determined, we will announce the details of any plans following the completion of direct discussions between our leadership and the relevant U.S. officials,” the manufacturer told CNNMoney. Trump is a vocal supporter of U.S. companies that build their products in the U.S. and has proposed levying steep tariffs — potentially as high as 45 percent — on competing Chinese importers. Nikkei, citing a source familiar with Apple’s plans, reports that the Cupertino, California-based company has tasked Foxconn and Pegatron, the two tech firms responsible for assembling more than 200 million of Apple’s iPhones annually, with investigating the feasibility of building plants in the U.S.
Pegatron reportedly demurred, citing logistical concerns. Foxconn agreed to compile a report as soon as June, but company chairman Terry Gou warned that it would show drastically higher productions costs. The potential result? An iPhone made in the U.S. could retail for as much as $740 to $1,300 for a 32GB iPhone 7 versus $650 today, according to Nikkei. Apple has previously declined to move iPhones production stateside, citing costs. Question: Would you pay $80 more for your next iPhone if you knew it was Made in the USA?